Writing things down sounds trivial. You’ve heard it before. It’s nothing new. The Zeigarnik Effect says we tend to hang on to things in our mind, especially if we don’t finish what we start. This makes it difficult to single task on purpose without mental distractions. Calm your stressful brain to concentrate better. If you write things down, you free up your mind from worrying about what you forgot or what you need to remember. If you can commit this simple technique into a habit, it will change the way you think and get things done. Writing things down changes everything, especially if your work depends on finding new ideas and approaches to solving problems. Ideas come and go at the most random of times. But if you pay close attention to these random ideas and embrace the writing habit, you won’t miss a single breakthrough. Writing things down is a powerful way to record anything and everything that has your attention. David Allen, the author of the best-selling book Getting Things Donesaysour minds are for having ideas, not storing them. 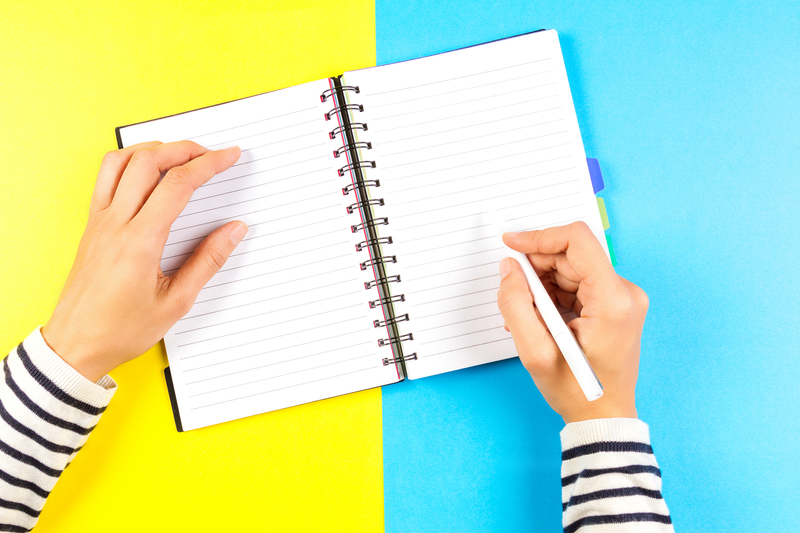 Writing things down can help our brains prioritise which we should focus on. “Writing your goals, priorities, and intentions has powerful psychological benefits as well. When they’re in writing, they’re out in the physical world — not just cropped up in your head. You can now evaluate them, decide which ones resonate, and accomplish them,” saysAlex Phillips. Research shows that writing down the things you need to take care of tomorrow can settle your brain and help you relax. When your brain isn’t busy remembering everything, your brain can processanything better. When you write, your brain is fully engaged and you think much more clearly. You force yourself to organise your thoughts which leads to deeper processing. This process can help refine and organise your ideas in a meaningful way. And most importantly writing stops your brain from stressing about what needs to be sorted in a few hours or tomorrow. Writing things down prepares your mind for more important thinking. When you have too many things on your mind, your thinking cannot be efficient. Writing things down clears out all clutter in your brain, so you can concentrate much better. Jesse Day of Evernote writes, “collecting, developing, and revisiting information expands your creative potential because you can draw from the sum total of your life, not just the fleeting thoughts of the moment. It pays to think on paper. When you write something down, you free up the task of having to remember it. Many studies have shown that note taking helps us distill information better and remember it better than we would if we’d just heard or read it. A brain dump is an act of getting all of your thoughts out of your head so you are able to focus on one idea at a time. It’s basically a time to organise everything on your mind: your worries, questions, needs, wants, important and urgent tasks, and everything on your mind. Those things get stuck in your mind over time, distracting you regularly from the things you need to do. The point of a brain dump is to capture the full picture of everything you need and want to do. Barnet Bain, producer of the Oscar-winning film What Dreams May Come and author of The Book of Doing and Being: Rediscovering Creativity in Life, Love, and Work, says a brain dump is a fertile starting point for any creative project. A brain dump is one of many ways to declutter your mind, and it can be done in a matter of minutes. It’s a powerful tool that can make you feel in control of your life. If you tend to keep all your thoughts and ideas in your head, your brain will keep bringing them up over and over, making you feel overwhelmed. You don’t want that, especially if you want mental clarity to focus on your most important things every day. Remove scattered notions from your mind and get them all down, then organise and follow up with ease. Take a mental load off-it’s relaxing. What’s your shut down ritual? Spend your last 20 minutes of your workday to reflect, process, write down and prioritise for the next day. End your day on purpose, and begin the next one ready to get started without wasting time. Write down how you want to spend your morning. If you do this, you will wake up and know exactly what you need to do to make your day a success. You will become more effective and more productive because you’re ready and everything is within your reach. Conversely, if you’re not ready for the next day, imagine what can go wrong. Don’t waste your morning thinking about what to do. “Cal Newport recommends a “shutdown ritual” in which you take the time to close out the day’s business and prepare for tomorrow. Take a moment and list down everything you have in your mind. Go ahead and embrace the writing habit. Don’t waste your brains’ ability on trying to remember everything. Writing doesn’t have to be difficult. It can be a quick note, a thought, a list of things to do at particular times of the day, week, or month.